NOTE: The following of what you are about to read, is for your discernment. I do not ask nor require anyone's belief. Also, God did everything in what I am about to tell you, I only asked. Even in the asking, God gave me the breath to speak it, the will to ask it, so really He did it all. I am only writing this now because I was told to write, and write I will. A friend of mine at Church showed me how to pray the stations, and I had watched a show that told how powerful the stations where. So, on my own, after church, I began to pray the Stations of the Cross in front of the Blessed Sacrament after I had prayed my Rosary. I didn't know what I was going to pray for, but I found I was soon directed. 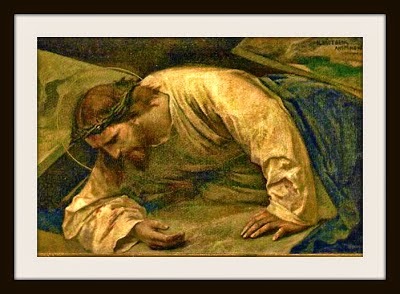 One day when I was about to start the Stations, I heard the Lord say to me, "Offer them." I thought, "OK, I can do that." So I started offering each station to the Father for whatever I was praying for. As I started to pray the Stations this way, as an offering to the Father, some things happened in the process. 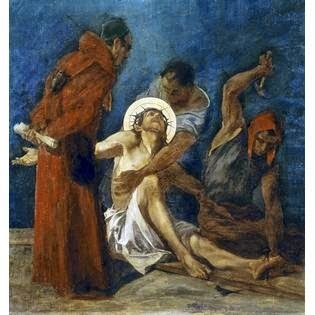 It was over many Stations of the Cross offered over time that taught me a lot. I will talk more about the Stations of the Cross and what I have learned about them, but let me share some basics for now. 1. The only way to the Father is the Son, His Cross and His Passion. 2. God hurt greatly while His son was going through his suffering, but desires that the suffering of the Son be offered to Him in order to save souls. 3. By offering the Stations to the Father, if you seek nothing for yourself but the things that God desires out of the love of your heart for God and for the ones He loves, is more powerful than I can ever describe. 4. If you want to know the Father's heart, offer Him the Stations of His Son. 5. The Holy Flesh of the Son formed in the womb of the Blessed Virgin is so precious to God the Father, that if a request is made on the 11th Station, if it is considered just in His sight, the Father will hardly deny a request made on this Station because of the Holy Wounds. One day after Holy Mass, I was going to pray the Stations. 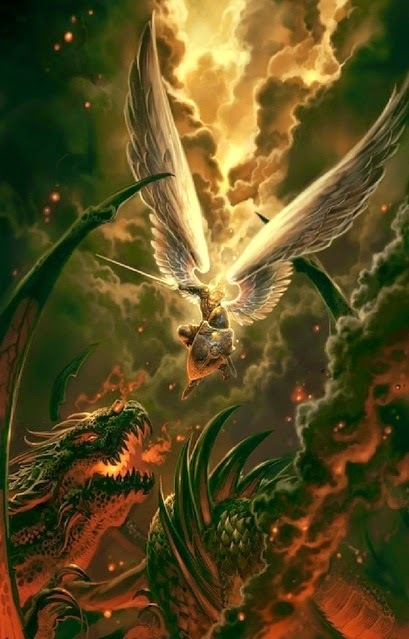 My prayer that day was that the demons that come out of hell and tempt weak souls into mortal sin be prevented from coming to the earth. Why did I pray this? What led me to this prayer? Well to be truthful, when you pray the Stations of the Cross you also learn the state of souls in the world, and it is quite frightening how many are on the path to destruction. (Jesus said this in Scripture). My heart is for the lost souls and the blackest of hearts, and this is what I beg God for. So this day, I was asking that the demons be preventing from coming out of Hell and tempting weak souls into mortal sin. I began the Stations, and at each Station I was begging God to grant my request with many tears for those that are already in mortal sin. I come to the 11th Station. Next Installment: Another Prayer Request and Answer on the 11th Station.